Hope du Jour is tonight! 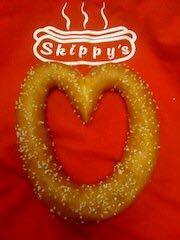 Skippy’s founder, Mike Rothman passes away. Skippy’s Hot Dogs reopened today under the Whitley family’s watch. It has old Skippy’s dog mainstays and yes, the pretzel buns are back. I want to talk a little bit about my experience today. Now, as I said, today is the first day open so there’s a lot of kinks to work out. I’m definitely gonna be fair about this. Let’s start with the menu. They hadn’t perfected the pretzel bun recipe, prior to opening. They were a little extra crispy, a little tough and really lacking any real pretzel flavor. I trust they’ll get some more practice and hone that skill, as I believe it certainly is a skill to make those things. They will get it. However, for my trip today, and again… it’s the first day, so I understand… the buns actually detracted from the overall flavor of the hot dogs. In the old days, the buns were softer, chewier and their flavor accentuated the dogs. The dogs today were kind of bland. And thin, perhaps slightly overcooked. The real side choices for today (other than the cookies) were small bags of Lays chips and Doritos. If you’re only going to offer chips, that’s fine, but get creative. Get some Cape Cods or some gourmet chips; anything other than the same old thing you can buy in bulk at Costco (which I’m sure is where those came from). That’s not a bad thing, just nothing special about it. You’re reopening up a recently designated WSNC “treasure,” you want to do something to make it shine, not plain. The dog choices are the Reuben (with spicy mustard, kraut and swiss cheese), the Chicago-“style” (with tomatoes, banana pepper, salt, onions, pickles), a chili dog, Mike’s Favorite (or special or something – I just thought it was cool they named something after him) that had kraut, pickle and spicy mustard. There’s also a slew of hot dog fixin’s to do a “make-your-own” dog. The hot dog choices aren’t vast but the fixin’s offer a plethora of creative options. I had the Reuben and the Chicago-style (yes, Michael Hastings I had onions on it, but “light” on them). The dog didn’t have time to melt the cheese on the Reuben and the bun was overpowering on the rest of the flavor. The Chicago dog was decent, I would have rather them stuff the peppers and tomatoes in a little bit and, as with the Reuben, the bun distracted from the overall dog experience. I still think, though, there’s promise in the dogs, the buns and overall flavor. The dogs are $3.50 each. The familiar old yellow walls are now bright white and they haven’t completed their addition (the old photography studio), yet so it’s still gonna be a bit crowded and very limited seating until that happens. That’s okay, it will be a lot better when that side expands the restaurant, I’m sure. Ordering (even with a slightly limited menu) seems to have been overwhelming for the staff creating the dogs on opening day. They’ll figure it out and that will be smoother. I was surprised that there wasn’t more people there when I got there, a little past 11am. My assessment is that there’s plenty of potential and there’s plenty of growth opportunity for the restaurant, both in size and in quality. I’m not going to rate anything because I plan on going back in a few weeks to see if there are a few less kinks in the system. I won’t say it wasn’t good, because it was. It was just “green” and has a bit of company growing to do. That’s just my opinion and I hope great things for the establishment and the Whitleys. I’ll let you know what I think after a few weeks go by. 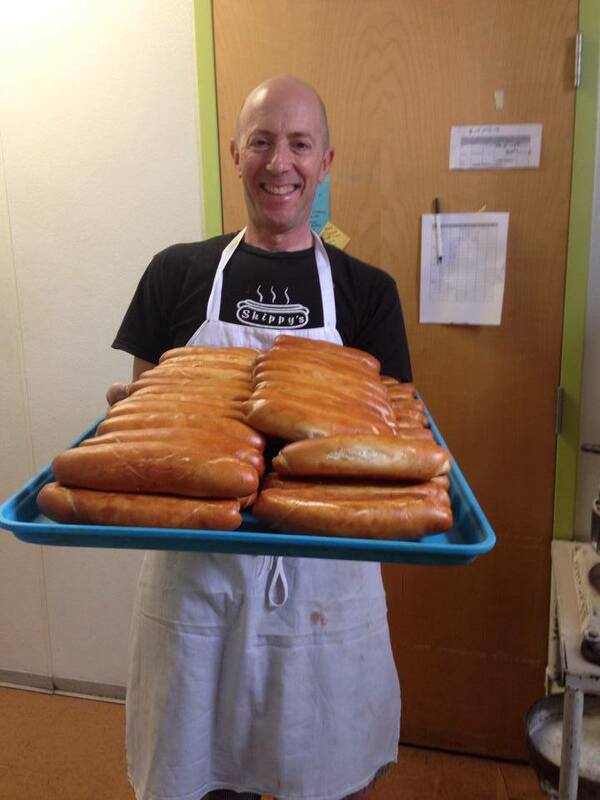 You can find Skippy’s Hot Dogs at 624 W 4th Street, downtown Winston-Salem. Check them out, support local! Chef Alex and Vin 205 part ways. King’s Crab Shack to Grow.